Sylvia Mendez was eight years old in 1943 when she was denied entry to an all-white school in Westminster, California. Instead, the school district was sending Mexican-American children to so called "Mexican schools". Seventy years ago a California lawsuit started by five Mexican-American families, helped pave the way for the landmark case Brown vs. Board of Education. That court decision led to the desegregation of schools across the country. Sylvia Mendez, the oldest daughter of the Mendez family—one of the families in the lawsuit— has spent the last twenty years sharing her family’s lesser known story. Sylvia Mendez was just eight years old when an all-white school in Orange County, California denied her entry. Due to her background, she could only attend the so-called Mexican school in her neighborhood. "It had dirt all the way around it. We didn’t have a playground, nowhere to eat," Mendez says of the two wooden buildings where she was forced to study. "It was horrible." And so the Mendez family began to question the validity of segregation in their school district. Why couldn’t their three children have the same chance as everyone else? The family's effort-- along with the four other families and 5,000 children named in the Mendez v. Westminster class-action lawsuit-- successfully desegregated four school districts in Orange County. Later, the rest of California followed suit. When Mendez and her two brothers were allowed to attend a segregated white school, she recalls being ecstatic to finally have access to "the beautiful playground" only found in the all-white schools. Once inside, Mendez and her brothers faced bullying from some classmates--something that sent Mendez home crying to her mother one day, vowing to never return to school. But her mother firmly reminded her of their family's long fight for equal access to education. “We are all equal and have the same opportunities, that was what we were fighting for. Because of equality and for justice, and for education," Mendez recalls her mother telling her. The next day, Mendez went back to school. Mendez went off to study nursing and worked in the profession for 33 years. At her retirement, which was spurred by her mothers' declining health, Mendez made a promise to share with the rest of the world her family's long-forgotten story. Today, Mendez is 81 years old and continues to visit schools and their classrooms to talk to students about the importance of higher education-- and about the case that preceded the landmark Brown v. Board of Education. Listen to Sylvia Mendez discuss her experience attending a segregated white school and her views on modern-day school segregation. Mendez speaks Monday, September 18 on the UIS campus at 4:00 p.m. in Brookens Auditorium. The event is free and open to the public. 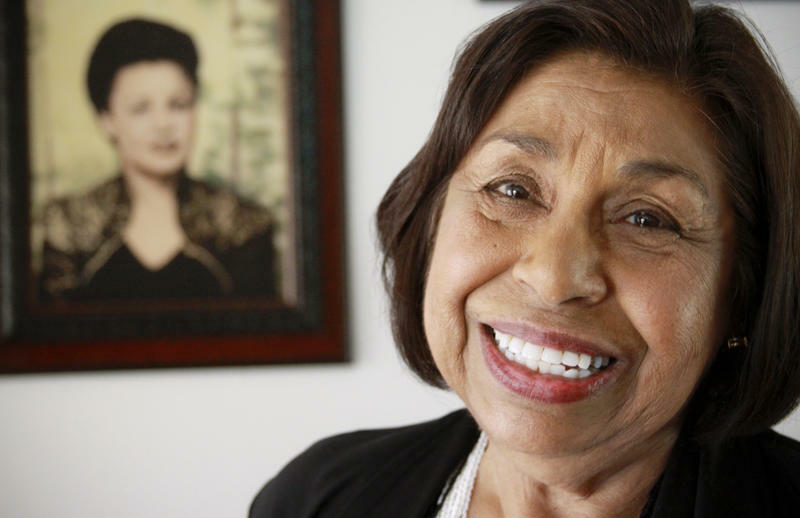 Sylvia Mendez says the only reason she wanted to go to an all-white school in California's Westminster District in the 1940s was because of its beautiful playground. The school that she and other Latino students were forced to attend didn't have monkey bars or swings. "I was 9 years old," she says. "I just thought my parents wanted us to go to the nice-looking school." After five decades of increasing integration, American schools are now moving in the other direction, toward more segregation for African-American and Latino students. In fact, the new study out of Harvard University making that contention names Illinois among the states that continue to have the most segregated schools.